There’s something undeniably romantic about the trains of Europe, especially for young intellectuals. They have grand visions of exploring the historic cities, discussing philosophy, and finding love. The reality may be different, but the appeal remains for those lucky enough to find it. 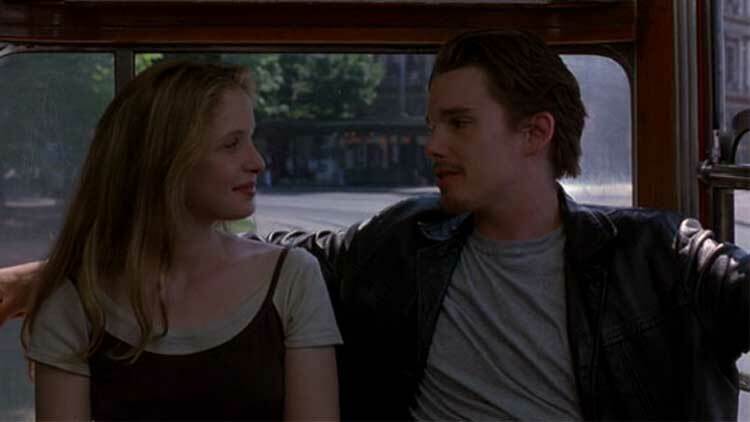 This charm permeates throughout Richard Linklater’s Before Sunrise, a remarkable film that perfectly sells that allure. It’s an unconventional romance with a deceptively simple premise. An American traveler and a French student meet on a train and spend a day and night in Vienna. Jesse and Celine discuss big ideas about love and death and quickly form a connection. They’re good-looking people, but that’s only a small part of their attraction. Their conversations delve into past experiences and their world views, and it creates a bond that goes well beyond sexual desire. Describing Before Sunrise as a romantic comedy reminds us of the typical genre fare with awful timing and dilemmas that could be solved with just a few words. Those movies live in a different world and have little in common with this one. It’s true that Jesse and Celine share a “meet cute” scene on the train gabbing about a crazy German couple. They also have an obstacle with his train’s imminent departure the next morning. When you look beyond those parts of the standard formula, there’s a heart-felt story without all the schmaltz. These are intellectuals who talk about real subjects and aren’t afraid to get personal. They spend as much time talking about their parents as the great questions of existence. Jesse and Celine speak in long monologues but make it work because they’re interesting characters. I’m not as witty, but I’d love to have a beer and hang out with them. I can’t say the same thing about the characters of many romances, even some that I like. This personal story only works if the stars are at the top of their game, and Ethan Hawke and Julie Delpy shine in the lead roles. He’s never been this charming in another part, which is saying a lot when you consider his career. Jesse is a likable guy but also self-centered, and Hawke plays that interesting mix just right. This arrogance was at the forefront of his irritating role in Reality Bites a year earlier, yet it serves him well here. Jesse recognizes his flaws and doesn’t wear them like a badge of pride. We can even forgive the creepy goatee. His mind is up in the clouds, and that idealistic manner attracts Celine. Delpy is even stronger in a tricky role where her upbeat demeanor masks hurt underneath. She yearns for a true romantic love but recognizes that it may be a pipe dream. Celine chides Jesse when he gets too judgmental but feels hypocritical at the same time. Delpy plays that mix of charm and intelligence perfectly while revealing a serious vulnerability beneath the surface. Starting with their lounge car conversation, it’s clear that Jesse and Celine are kindred souls. They delve right into discussing their childhoods and her fear of death, and there's a rare intimacy for people who’ve just met. The usual barriers disappear right away and show the excitement you feel when connecting with a like-minded new friend. Another great scene occurs at the record store when they stroll into the listening booth with an LP in hand. While the beautiful Kath Bloom tune plays, the camera stays on their faces as they awkwardly listen in the confined space. He steals a glance and then looks away when she notices the attention. Their nervous attraction is just right but isn’t overplayed by the actors. By the time Jesse and Celine finally kiss on the Ferris wheel, the moment feels earned and not just marking a check box in the genre playbook. The giant Wiener Riesenrad famously appeared in The Third Man and provided a serene moment in the Bond film The Living Daylights, yet this scene remains fresh. Amusement parks are frequent settings for date scenes, but it’s used differently here. Even when they’re strolling through the carnival games, Celine is talking about serious issues of war and revolution. Combining the standard romantic formula with much-different characters makes for a surprising experience. Richard Linklater has enjoyed one of the more unique careers for a director because of his diverse body of work. 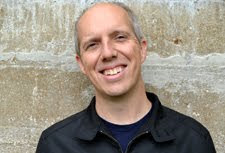 He’s created similar films but also directed The Bad News Bears and School of Rock. While his writing gets most of the attention, Linklater’s ability to connect with actors is one of his greatest strengths. Hawke and Delpy worked with him to shape their characters, particularly for the sequel Before Sunset. That movie offers a similar structure but reveals how Jesse and Celine have grown less idealistic nine years later. Considering Linklater’s other work, the closest relatives to this film are Waking Life and Slacker. While those stories cover a much larger group of characters, they live in a similar world of ideas. Jesse and Celine actually appear briefly in the former to discuss reincarnation, and it provides a nice connection to this picture. While his style isn’t for everyone, Linklater is one of the most refreshing filmmakers working today. As the night progresses, Jesse and Celine get more honest and step beyond theories and ideas. When they consummate the relationship, the camera leaves the scene and doesn’t invade the intimate moment. These characters have become so real that we feel like interlopers into their space. They’ve built such a connection that it’s impossible to believe that it won’t continue. Linklater ends the story with a glimmer of hope that we’re witnessing the start of a relationship, not a freak occurrence. No matter where Jesse and Celine go next, they’ve shared an incredible experience that neither will forget anytime soon. It’s a pitch-perfect conclusion to a great film that has lost none of its resonance today. This review originally appeared in the third round of the "So You Think You Can Review?" tournament that was held by the Large Association of Movie Blogs (The LAMB) back in 2012. I made it all the way to the end and actually won the tournament. The films were chosen randomly and covered a wide array of genres and time periods. Congrats on winning that tournament! Thanks Chris! I'm also really looking forward to Before Midnight. This was the easiest review to write because of how much I love the movie. There's also plenty to discuss, and it's such a great romance. Terrific review! As much as I love this film, I love Before Sunset even more. I really hope Before Midnight delivers. Thanks Josh! It's very close, but I also prefer Before Sunrise. The characters are less optimistic, which make it even more interesting. I have high hopes for the third movie!